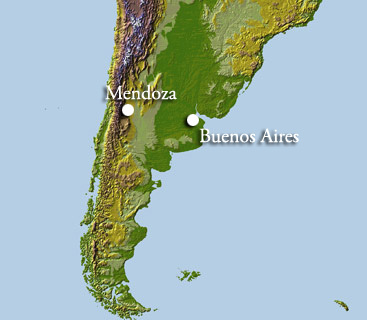 I'm leaving this evening for a tasting trip to Argentina, and will be visiting Buenos Aires, Mendoza, and Patagonia. From Malbec to Torrontes to a number of surprises in between, make sure to check back here regularly for tasting notes, photos, and videos. Mendoza region is the leading producer of Malbec in Argentina - can't wait to read your notes about it.